Specification grade undercabinet luminaire with ribbed, white acrylic diffuser. 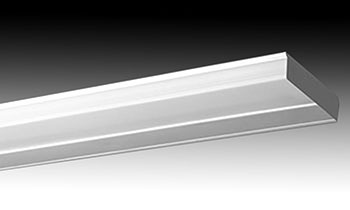 For use in indoor applications where a T5 luminaire with a small profile is required. 1/2″ power connector, rocker switch and lamps are included. Available in lengths from 12.25″ to 42.5″.